This is one of the easiest investigation in our campaign against fake DMCA. 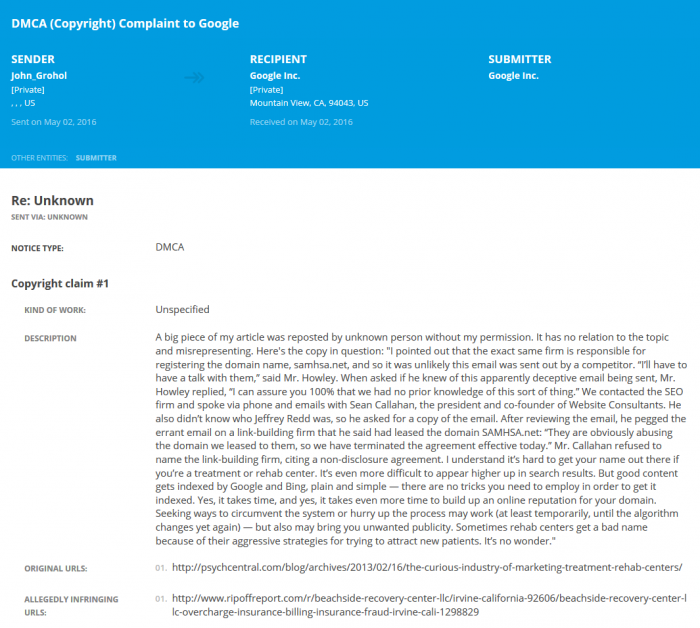 According to the DMCA report, on 02 May 2016, a ‘John Grohol‘ reported that a piece of his article at psychcentral.com was plagiarised on a Ripoff Report post on 22 April 2016. 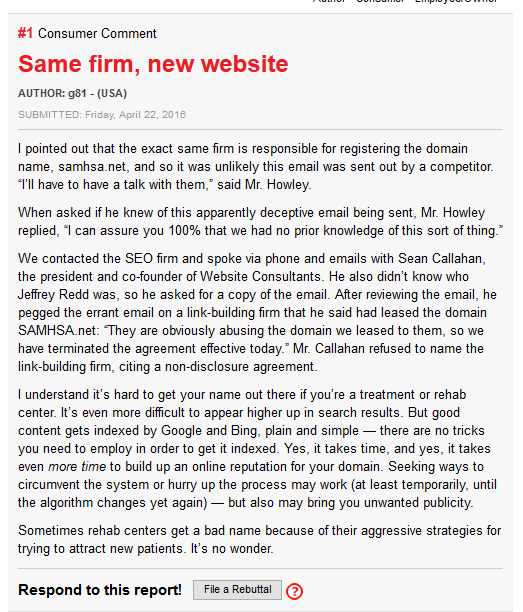 So do we believe that Dr John Grohol would worry about a few lines taken from his article (posted 6 years ago) on a complaint nobody knows about ? Grant Cardone Center have a Ripoff Report. A recent one as well. It is like any ordinary consumer complaint and calls out the senior management and makes multiple and serious accusations. 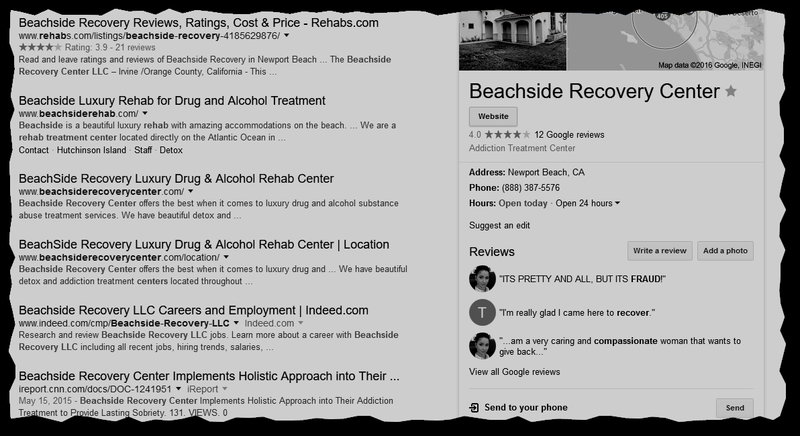 Rehab industry is built on reputation and these complaints can really hurt business. So we truly understand why Grant Cardone Center would sign up for perjury, impersonation and other crimes, in order to take down that complaint. We think we must take a second look at this complaint. 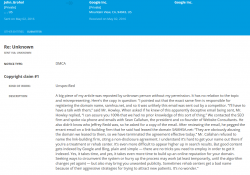 EDITOR’S COMMENT : For those who might ask – ‘why and how do we interject that ‘Grant Cardone Center LLC’ has something to do with this fake DMCA. Couldn’t it be a coincidence ?’, we will say this – When someone goes and creates a whole new fake news site, falsifies his/her identity and submits fake DMCA to try and de-list some very targeted content on Google, it signals intent and a plan. 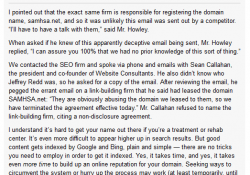 It is obvious that ‘Grant Cardone Center LLC’ or someone they hired was directly involved in this crime. Grant Cardone Center LLC also cannot plead ignorance in this matter, since this notice on Google search is hard to miss, really.